Mayweather ticked the fancy of the boxing world when he said last Saturday in Tokyo that he’s coming out of retirement to take on Pacquiao. MANILA, Philippines — It seems Floyd Mayweather Jr. is not ready to jump into the ring to fight Manny Pacquiao in a rematch in December as fight fans had wished and hoped for. “I’m coming back to fight Manny Pacquiao this year,” he said on the day he met the Filipino legend during a rave party in Tokyo. However, the retired American superstar sang a different tune yesterday. “I know everybody heard about the Mayweather-Pacquiao fight, but before the Mayweather-Pacquiao rematch, I will be back in Tokyo for a huge boxing event. Stay tuned,” Mayweather said. 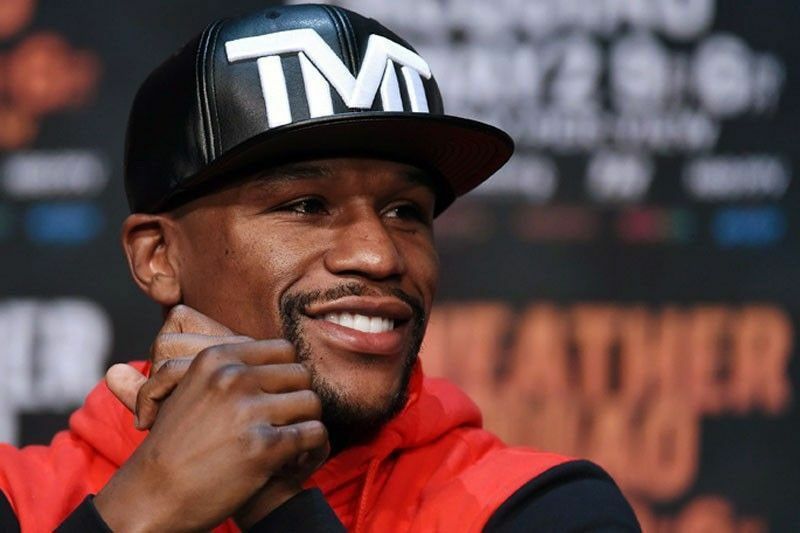 In a video clip posted by top entertainment portal TMZ, the 41-year-old Mayweather hinted at a big event in Tokyo that may feature him. He did not categorically say if he’s going to figure in a tune-up fight in Tokyo before setting up the rematch with Pacquiao or if it’s an event that needs his full attention. Pacquiao told reporters last Tuesday he’s ready to fight Mayweather in the US – any time, any day. The reigning WBA welterweight champion can’t wait to get his hands on Mayweather, and stressed that he won’t need any tune-up fight. “He said ‘Easy fight, easy fight,’ so I told him, ‘Let’s fight. I have the belt,’” said Pacquiao. But Mayweather’s latest statement could mean that no rematch of their 2015 blockbuster showdown is happening soon or as early as December. Pacquiao may have to name another opponent after saying he wants to do another fight on Dec. 8 or on Jan. 12 or Jan. 19. “We hope to finalize it this week,” he said. In the list are British superstar Amir Khan, Kell Brook and Mike Garcia. “They’re all available,” said Pacquiao.